It’s time for flu season and we are working together to prevent the spread of flu! Once again, Fraser Health will be implementing its Influenza Control Program Policy. This policy requires that all STAFF and VISITORS who have not received a flu shot, are required to wear a surgical mask when they are in resident care areas. This means any area within Menno Home, Hospital and the Terraces that is accessible to the residents who live here. Masks are available at the Nursing desks on each unit and at the front entrances. Your participation for the health and safety of our residents will be required and greatly appreciated. The risk of complications is greater for seniors 65 years and older, very young children, and people who have lung or heart diseases, certain chronic health problems, or weakened immune systems. As reported on CBC, this year’s dominant flu strain is more powerful than last year. It is a strain of H3N2 and it causes more hospitalizations and deaths than any other strain of flu. 80% of all flu-related deaths can be traced back to this particular strain of flu – of which 70% of those who die of the flu are elderly. Lead researchers for the BC Centre for Disease Control say that this vaccine is a good match with this year’s strain of H3N2 and will be effective in helping to prevent the spread of the disease and in building up resistance to this strain of the flu. It is especially important with this flu strain that we do all that we are able to prevent the transmission of flu among the seniors whom we love. At Menno Place, we are vigilant about preventing the flu from spreading. Our staff follow the Fraser Health Influenza policy from Fraser Health. They have either reported (shown evidence) of their flu immunization or wear a mask in areas where they are in contact with residents. What is expected of families and visitors? Get a flu shot to reduce your chance of getting and spreading the flu. Wear a mask when you are in resident areas. This is required. Wash your hands. Frequent hand washing can reduce the risk of all respiratory infections. Cover your cough. 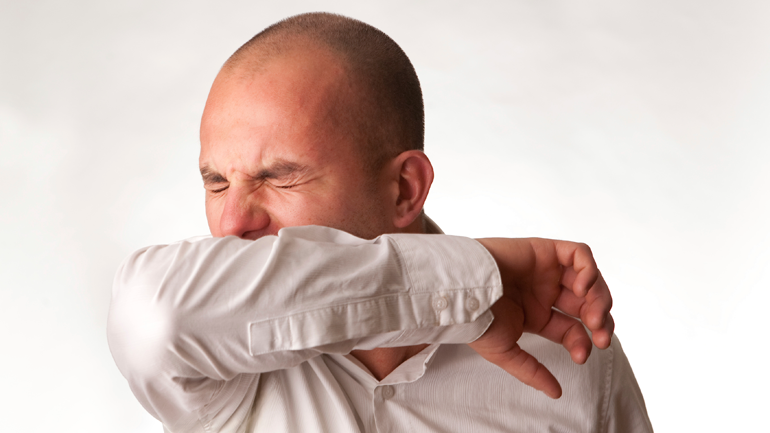 You can also reduce the spread of germs by practising safe coughing and sneezing techniques. Avoid touching your eyes, nose or mouth. Germs are often spread when a person touches something that is contaminated with germs and then touches his or her eyes, nose or mouth. Stay at home. Anybody who thinks they have an influenza-like illness (ie: fever and cough) should remain at home and limit exposure to others. Don’t bring your germs for a visit.